Spotify mainly offers two tiers: Free and Premium. The Free plan provides users with an easy way to access a giant library of streaming music without any charge, but it is ad-supported and limited in certain ways. So if you want to get maximum flexibility when using Spotify's services, then the Premium subscription will be your best choice. By just paying $9.99 per month, this tier will give you unlimited, ad-free access to over 35 million songs and thousands of expertly crafted playlists, plus the ability to stream music offline. However, things aren't always going as planned. Subscribers are prevented from taking your favorite Spotify downloads outside of Spotify app and playing on VLC Media Player, even if they’ve already upgraded to the Premium plan. Why? Because all tracks from Spotify are DRM-protected. In such a situation, obviously removing DRM from Spotify songs first would be necessary for users to play Spotify songs on VLC player. In the following part, we're going to not only help you discover the best Spotify DRM removing tool, but also equip you with the step by step procedures to convert Spotify songs to MP3 format and add to VLC player for playback, sounds good? Keep reading. The best Spotify DRM removing tool we are talking about here is called TunePat Spotify Converter. It is an one-stop Spotify music converting software, built with an innovative encoding technology, able to convert any Spotify song, album, playlist to MP3, AAC, WAV, or FLAC format without installing any extra software including the Spotify app. Based on this distinct feature, though TunePat Spotify Converter has a handful of rivals in the aspect of Spotify music conversion, it is the most prominent and handy. Convert Spotify songs to MP3, AAC, FLAC or WAV format. Easily download songs from Spotify to local computer. Keep ID3 tags and preserve lossless audio quality. No need to install the Spotify app; support 10X faster conversion speed. TunePat Spotify Converter is available on both Windows and Mac computers, here we take the Windows version as the example to show you the detailed steps about how to convert Spotify songs to MP3 format and add to VLC media player. Launch TunePat Spotify Converter. Click the "Settings" button on the bottom right corner and select MP3 as the output format. Here you can also choose output audio quality, customize output path, organize the output files in various ways and more. Open a Spotify playlist and TunePat will read your playlist data automatically. Click the "Add" button on the bottom and select the songs that you'd like to convert. Click "Convert" button to start converting the Spotify songs you chose in Step 2 to the output format you set - MP3 in Step 1. Once the conversion is done, you can find your downloaded Spotify songs in MP3 format by clicking the "History" button on the bottom right corner. Then you can open VLC player and add the converted songs to it for playing. Video Tutorial: How to Convert Spotify Songs to MP3 with TunePat? 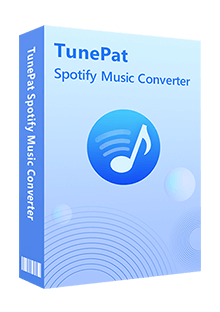 Note: The free trial version of TunePat Spotify Converter enables us to convert the first three minutes of each song and convert 3 music files at a time. We can unlock the time limitation by purchasing the full version.